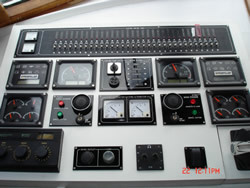 Electronics: 2 KVA Invertor to 220Volts, Full Furuno Navnet system, GPS, Plotter, Radar and Echo sounder with repeaters on the Flying bridge. 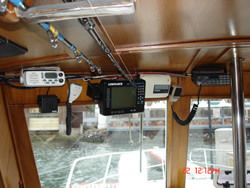 Two VHF radios, 2 extra Echo sounders, New sound system CD, radio. Accommodation and layout: One cabin up forehead with 4 single bunks and rod storage, two extra bunks in saloon. 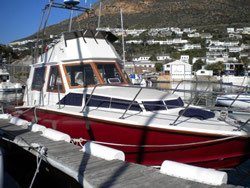 Galley down on starboard side featuring freshwater total 100l, microwave and fridge/freezer. To port is the head with basin and toilet. Ample storage throughout, with drawers and cupboards finished in solid teak, teak and holly sole throughout. Easy access to anchor locker from forehead cabin. Safety: Full category B (40nm offshore) safety equipment including 8 man liferaft, 8 lifejackets, new flares all in date. 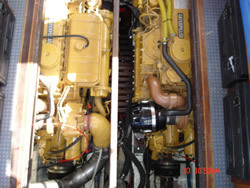 Full automatic bilge pumps with alarms, also redundant bilge system from mechanical jabsco pumps from the main engines. 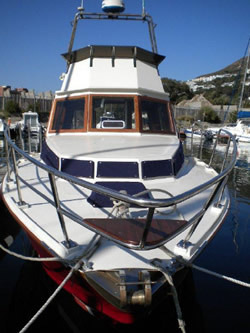 Extra’s: Full set of canvas boat covers, including window covers and flybridge covers. 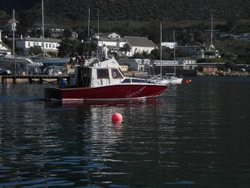 Huge fish boxes with automatic drainage from pumps fitted to the engines, all stainless steel fittings. 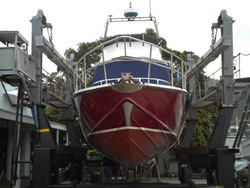 Brokers Remarks: This Renato Levy is only one of two ever built with GRP hulls. She has been lovingly restored, with an open checkbook philosophy over a two year period from top to bottom. 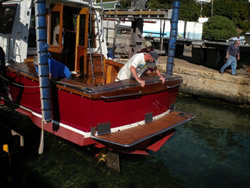 All bilges have been flowcoated, all woodwork including cockpit coaming is solid teak. 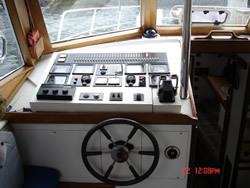 Cockpit deck is solid teak strip with caulking. Full professional respray, top to bottom. 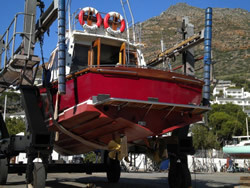 This boat has to be viewed to be appreciated; it is an absolute classic gentleman’s sportfish boat and is turn key ready to fish or cruise. Please call to arrange a viewing, you will not be disappointed.